It seems that not a day goes by that I do not see some post on social media claiming that there has never been a death due to marijuana overdose. There’s just one problem with this: it simply isn’t true. 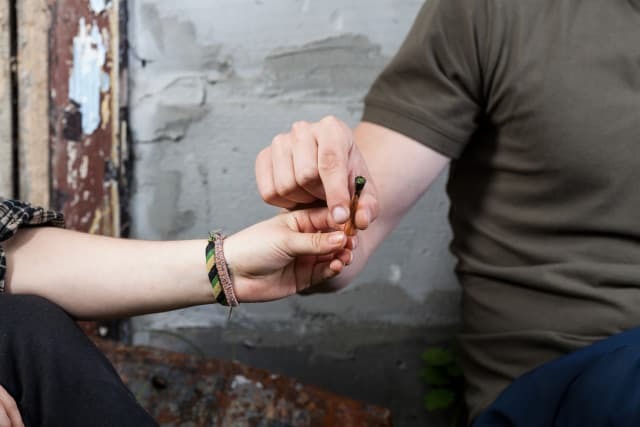 In fact, spreading this myth is quite dangerous because it could well encourage someone to ingest a fatal dose of marijuana in the false belief that there is no such thing as marijuana poisoning. The truth is that although marijuana is one of the safest drugs around, far safer than opioids, alcohol, Tylenol, or antidepressants, it is still toxic when the dose is large enough. So, let’s take a look at the real facts. The CDC WONDER database is a public access database which records every death certificate filed in the United States between 1999 and 2014; according to this database there were 287 deaths due to cannabis or its derivatives in 2014. Numbers of deaths are calculated using UCD codes X40-44 (accidental drug poisoning), X60-64 (drug suicide), X85 (drug homicide), Y10-14 (drug poisoning of unknown intent) and MCD code T40.7 (Cannabis and its derivatives). Cannabis poisoning trends from 1999 to 2014 are given in Figure 1. However, the majority of these deaths involved drug mixing, i.e. the co-ingestion of a fatal combination of marijuana and some other toxin such as alcohol, an opioid, cocaine, or some other drug. Note that this is not the same as saying that marijuana was present in the toxicology report; what this means is that a fatal dose of marijuana was present in addition to a fatal dose of some other drug or drugs. However, if we remove all the cases which involved drug mixing and look only at those cases where a fatal dose of cannabis alone was present, we still have 18 deaths due to poisoning by cannabis alone in 2014. Trends in poisoning by cannabis alone are given in Figure 2. So how does cannabis poisoning stack up against rates of poisoning by other drugs such as heroin, prescription opioids, alcohol, cocaine, benzodiazepines, Tylenol, or antidepressants? As we can see from Figure 3, there are far fewer deaths due to cannabis per year than any of these other drugs. Although there is an ICD-10 code for caffeine poisoning, T43.61, the CDC WONDER database does not break things down this finely, but instead lumps caffeine together with other psychostimulants with abuse potential, such as methamphetamine, amphetamine, and Ritalin under the more general ICD-10 code T43.6; therefore there is no way to calculate the number of caffeine poisoning deaths per year using CDC WONDER. However, as there are a number of news reports of caffeine poisoning deaths each year it may be reasonable to assume that caffeine and cannabis are similar in their toxicity. Benno Hartung et al. (2014) report that the lethal half dose (LD50) for THC in humans is estimated to be around 30 mg/kg. This means that approximately 2 grams (.07 ounces) of pure THC has a 50% chance of killing a 150 pound man. This is the amount of THC found in .35 ounces of high grade weed with 20% THC content. Moreover, the DEA reports that concentrated THC derivatives known variously as “wax,” “dabs,” or “butane hash oil” consisting of up to 80% THC are now available on the streets; one tenth of an ounce of these would contain a lethal half dose of 2 grams of THC. Robert Gable (2004) also reports that the lethal half dose of marijuana is about 15 grams or one half ounce; however, he does not specify the THC percentage of the marijuana. It is likely that you are in more danger of consuming a fatal overdose if you eat your cannabis products than if you smoke them. So please do not believe wild made up stories you will read online about how you would have to ingest over 1,000 pounds of marijuana to die or Wikipedia articles with made up numbers which cite no sources. Cannabis is indeed much safer than alcohol, Tylenol, or Prozac, and many, many times safer than prescription opioids, but it is still possible to ingest enough to kill you. Heck, even water will kill you if you drink too much too fast. Therefore, these internet memes which claim that there has never been a death due to marijuana are not only false, they are irresponsible and may in and of themselves lead to increased marijuana poisoning deaths by encouraging reckless behavior.